If you don’t completely understand Object Oriented Programming after this and the first part of this tutorial Python Object Oriented Programming. Please leave a comment below and I’ll do whatever I can to explain this important subject. Note: You have to insert the white space and everything will work. I could have styled it with HTML, but that would have required you to erase all of the tags. Hope this helps? Thank you for your work, helps me a lot ! I am going to go thru you other tutorials, I am looking to use MVC with Python and will try to use the bean/dao/services paradigms in order to achieve that. Thanks for the wonderful tutorial. It’s very clear and informative. I have a small problem with some of the code in pt 8. get_attributes returns None when I try it. I didn’t delete your question. I just can’t allow auto commenting because I’m attacked all of the time. Sorry about that. You make a good point and I’ll look into your ideas. I often crank these videos out with a focus on just teaching the basics and the code isn’t always optimized. I recently slowed down on quantity and now instead focus on quality. I started making the videos faster because I noticed that almost everyone else went very slow. Their videos normally were very short, so I lengthened mine. Then recently I started covering topics that nobody else has. I’m doing my best to make original videos that haven’t been done. I have been trying to learn python for a while now and I have found your tutorials very captivating and I commend you effort. Great video, you explains about automatically entering key value pairs into an attribute called _attributes. Can I add then dynamically to self. = kvargs[key]. I ask because I want them to become inherited and called by the built in function hasattr etc. I couldn’t figure out why my print statements weren’t working without parens. Then I remembered that I went and installed Python3 to work with another tutorial (not as good as this one). I assume that’s the difference? Yes! Django is my ultimate goal as well. Liking the tutorials and appreciating the labor of your efforts. I have to say though, even though many are asking for more at once, part 8 was like trying to drink from a fire hose. Question…Why do you use a “return” statement at the end of methods that don’t return anything (ex: set_attributes(), noise())??? Hi Derek, tell me please, can Dog class ,in this example, inherit private variables __name and __owner from Animal﻿ class, and second is there chain reaction at model creation?Dog object cant exist before Animal object. Thanks, you’re great. Derek, can you explain me this? When Dog object call Animal constructor -super(Dog, self)-, he actually pass two arguments or not? What Dog as argument means? Can you explain me this, please. Python is little strange language. 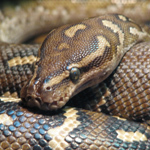 Python is a little starnge because you have to pass the Dog in this situation to have the super class Animal set up the attributes. You don’t do it that way in other languages. Does that make sense? Thank you Derek on answer. I am confused with (Dog, self) statement. Self is same as this in Java, and what Dog represent? I don’t see any purpose of Dog. A type of object? I’m sorry to bother you. The subclass Dog is initialized by the Super class. That is why it is passed in. This happens with Java, but everything is hidden and you don’t have to pass the subclass like you do with python.